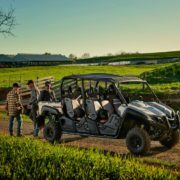 KENNESAW, Ga. – June 12, 2017 – Yamaha Motor Corp., USA, introduces the all-new 2018 Kodiak 450, the highest value mid-class 4×4 ATV providing the best off-road capability, comfort and confidence for all-day riding. 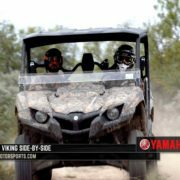 Built in the USA at Yamaha’s state-of-the-art factory in Newnan, Georgia, the all-new Kodiak 450 joins the best-selling Kodiak 700 and recreation-pointed Grizzly 4×4 ATVs to offer a wide array of possibilities and options for off-road enthusiasts, outdoorsmen and women, farmers and ranchers alike. 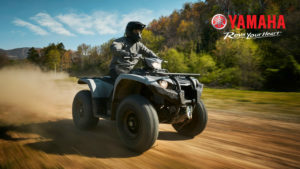 Introducing the all-new Kodiak 450: The world’s only midsize utility ATV with Yamaha proven off-road capability, all-day comfort and confidence-inspiring fuel-injected performance. 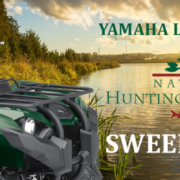 Compact and nimble, it features the industry’s most durable Ultramatic® automatic transmission, rider selectable On-Command® 4WD, and Yamaha’s industry-best Electric Power Steering. 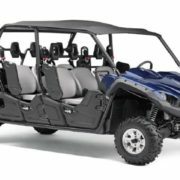 All this starting at just $5,999. 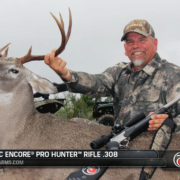 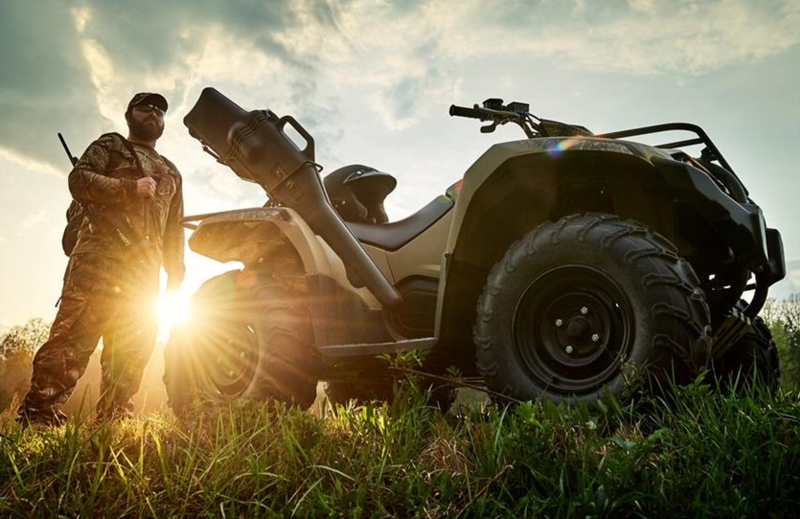 Kodiak 450 EPS color options include the new Armor Grey, Fall Beige with Realtree Camo, and Hunter Green. 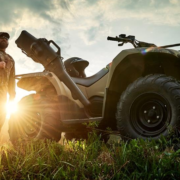 In addition to Fall Beige with Realtree Camo and Hunter Green, the non-EPS Kodiak 450 comes in Red, with pricing starting at only $5,999 MSRP. 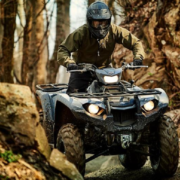 All Kodiak 450 ATVs, along with every Yamaha Side-by-Side and full-size ATV, is proudly assembled in the USA at Yamaha’s state-of-the-art manufacturing facility in Newnan, Georgia, for worldwide distribution.